Mr Money in the Bank Braun Strowman and Kevin Owens have developed a feud post the 'monster among men' Strowman throwing Owens from the top of a ladder. However, Owens has tried to befriend Strowman but he has not accepted his friendship rather launched brutal attacks. On Monday night RAW, Owen and Strowman had a faceoff but Owens ran away and lost the match. 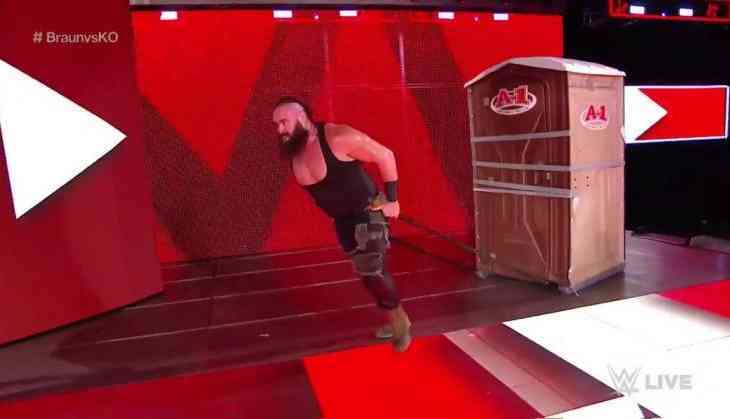 But, the Monster Strowman found him hiding in a portable toilet and locked him inside and pulled him back to the stage. While the NXT star Owens was inside the portable toilet locked up, he knocked it off the stage. Seeing this monstrous act, RAW commentators Michael Cole, Corey Graves and Jonathan Coachman were shocked. 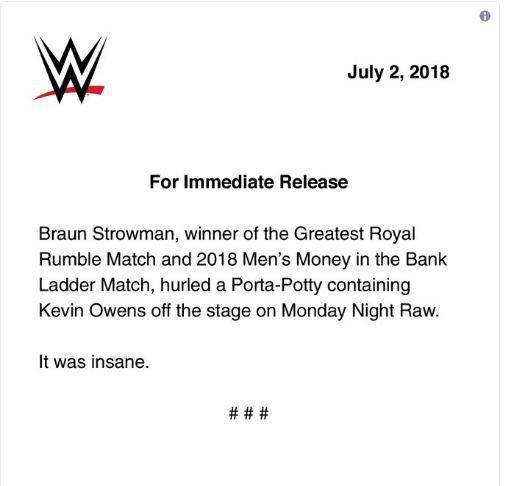 WWE Universe posted the following statement after Mr Money in the Bank Braun Strowman attacked Kevin Owens trapped inside a portable toilet. Here's the reasons why Rahul Dravid is being inducted into ICC Hall of Fame before Sachin Tendulkar?